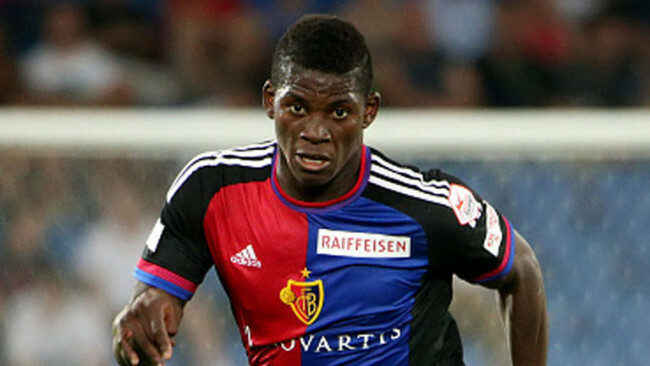 Arsenal wants to sign FC Basel’s Breel Embolo, says the Daily Express. The Cameroon-born 18-year-old has scored 11 goals in 36 appearances for the Swiss outfit. The paper says Wenger will bid £10million for the Swiss international in January. 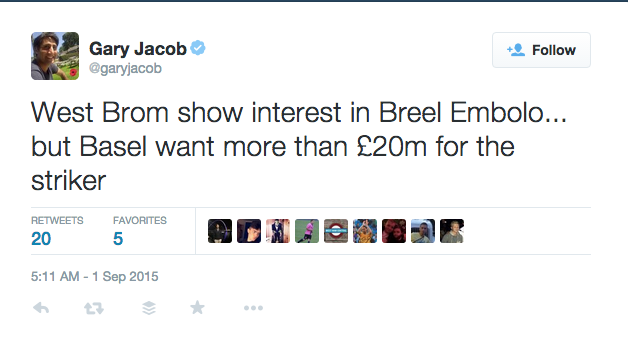 It was only in July Steve Bates told his Sunday People readers that Embolo was headed to either West Ham or Tottenham. He didn’t. The Times’s Gary Jacob says Basel want £20m for the player. Wenger will have to dig deeper. Debuting in the 2013/14 Europa League against FC Salzburg aged 17, Embolo also made his league debut three days later, scoring his first professional goal only four minutes after coming off the bench.